It’s still chilly here, though the Arctic blast has moved on. I decided to use up the leftover turkey and test out my new mandolin at the same time and make a big pot of soup for lunches this week. When I roast a turkey, I always save the wings and legs, freezing them for soup later on. You can also save the carcass, which I do sometimes, but really most times it seems like too much trouble. You can also freeze leftovers, but I find dark meat works best because the white meat tends to get tough once it’s frozen, even when simmered for hours in soup. You can add anything you want. I didn’t have beans, so I substituted whole wheat egg noodles. I cook them separately, so they don’t get too mushy and add them to the bowl and pour the soup over them. In a large saucepan, add turkey, broth and water. Bring to a boil and let boil 10 minutes. Reduce heat and add remaining ingredients. Let simmer for 20 minutes, remove legs and wings, let cool enough to remove remaining meat (most will have fallen off). Add meat back to soup and let simmer another 10 minutes. Remove bay leaf and serve with Buttermilk Biscuits and Cranberry Sauce. 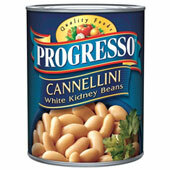 *Cannellini beans are large and have that traditional kidney shape. With a slightly nutty taste and mild earthiness, they have a relatively thin skin and tender, creamy flesh. They hold their shape well and are one of the best white beans for salads and ragouts.